As a Mendeley Advisor, and an avid user and fan of Mendeley, I have experience of and I am very keen on running workshops on Mendeley across Higher education institutions in the UK. If you would like me to run a Mendeley workshop at your institution please get in touch with me. As a Mendeley Advisor and an avid user and fan of Mendeley (my love story with Mendeley can be found here), I decided to spread the love of Mendeley across the campus! 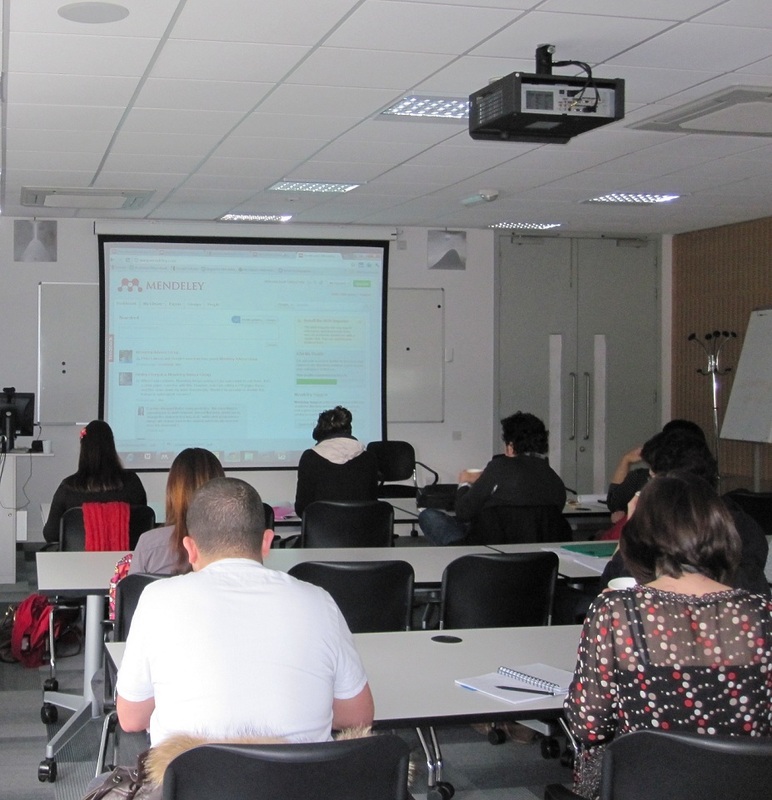 With the support of the library at the University of Warwick, I ran a workshop at the University of Warwick Library on Mendeley. The workshop tickets were all sold out, and from the feedback I have received so far it went down very well. The workshop ran for two hours with a 45 minute presentation from myself on Mendeley and a practical session thereafter for an hour ran by myself and AbdulRahman Hariri, a fellow Mendeley Advisor. 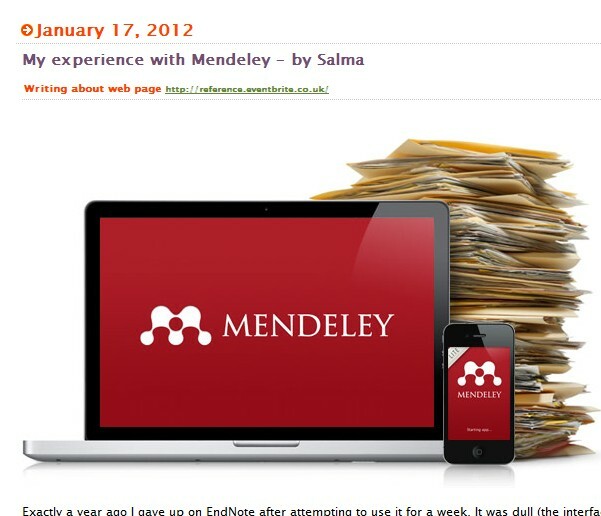 Hi Salma, I would like to have class one to one for Mendeley in Birmingham, please give me your quote.